Following on from The Green Biro Nutter Brigade, I thought I would take a look at another colour used to enhance the meaning of text – RED. In our culture RED LETTER DAYS are days of special notice, of celebration, of significance. The use of red as a colour to mark celebratory days has its roots in Ancient Egypt. The Egyptians considered red an auspicious colour and went to great lengths to make their skin appear redder. They also used red to highlight particular dates. This tradition continued with the Ancient Romans and carried on through to the Medieval church. 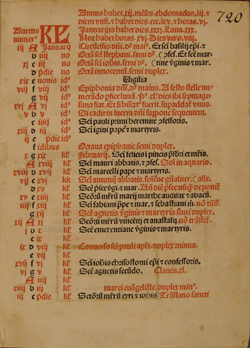 In Medieval manuscripts red letters were used to highlight initial capitals (particularly of psalms), section headings and names of religious significance. 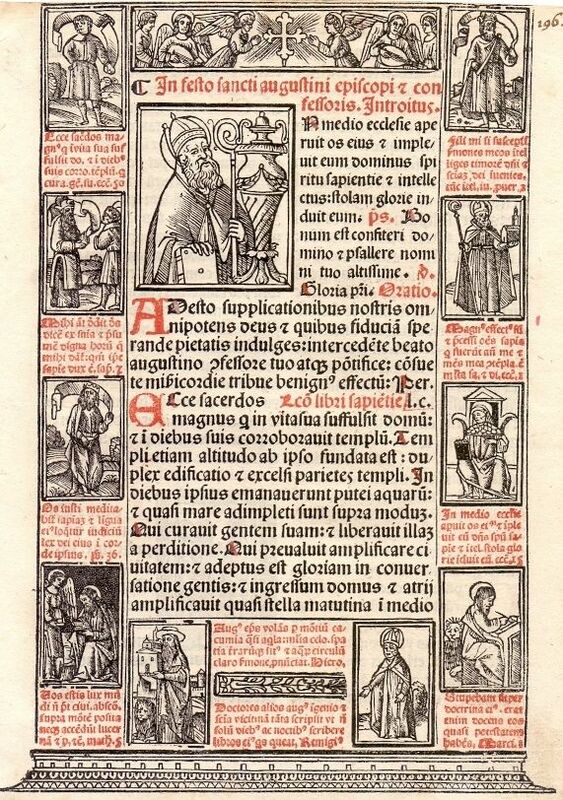 The practice continued after the invention of the printing press, especially in Catholic liturgical books. Religious calendars used red to indicate special dates. There is even a specially dedicated word for the printing of words in red – Rubric. The word derives from the Latin: rubrica, meaning red ochre or red chalk. The practice became known as rubrication and formed a separate stage in the production of a manuscript. Rubric has since passed into the language as a term for an authoritative rule or heading or an established rule, tradition, or custom. Religious rubrication was taken even further in the 19C with the concept of RED LETTER BIBLES. In 1899, Louis Klopsch, then editor of the Christian Herald magazine, conceived the idea of a testament with the words spoken by Jesus printed in red ink. The same year Klopsch published the first Red Letter New Testament and, in 1901, the first Red Letter Bible. Red Letter Bibles wanted to place the emphasis on the actual words of Jesus, rather than the historical politicisation of those words in the narratives. However, there are many problems with identifying the words of Jesus. Ancient texts and even some of the more modern interpretations, such as the King James Bible, do not include quotation marks, so knowing when the author is quoting Jesus, rather than adding a personal opinion, is far from clear. Notwithstanding, the RED LETTER BIBLE proved instantly popular and especially with the Protestant Christians of the United States. This in turn has led to a 20C movement known as RED LETTER CHRISTIANS – Christians who wish to concentrate on Jesus’ actual words rather than the politicisation of Christianity. There is just no stopping RED! Next Post I ain’t afraid of no ghosts! 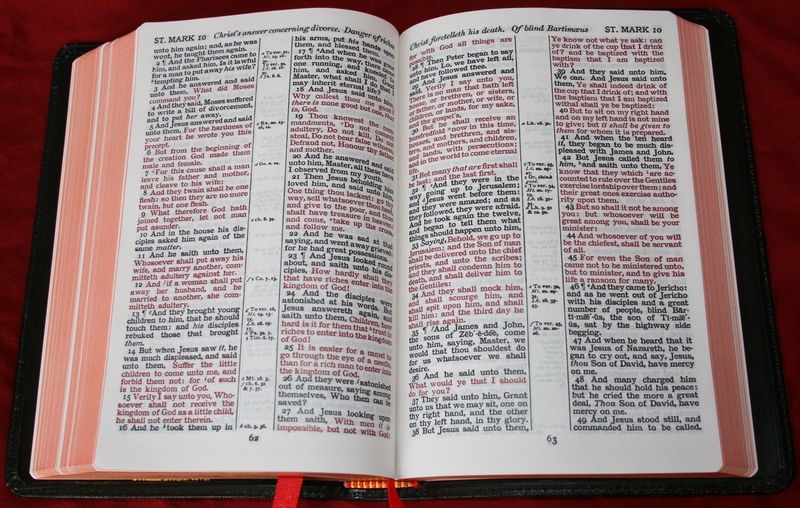 I rather like the idea of red letter Bibles for some reason although I imagine it might make the words seem a bit shouty, and wonder if it becomes wearing to the eyes after a while. I’ve just been in China and you cannot escape red – neon signs of Chinese characters atop buildings new and old, and red adorning doorways into every restaurant, and of course the ribbons, carpets and paintings in all the temples. Such a strident red, too, it felt too much in the city but in the countryside, where it was balanced by leafy trees, it felt right at home! Yes, I agree, I rather liked the idea of it too. But we do need our green, you are right, it’s our balance. That’s really interesting Francesca, I never knew any of those facts about red, thanks for sharing. Fascinated about the rubric I never knew the origin of that word or the information relating to the bible. Red Letter Christians sound rather terrifying! I know! Great isn’t it. Hello there! Just wanted to let you know your post was very interesting. I found it when I was using an image search for red letter Bibles for my blog. I used your image and linked back to you. Thank you for sharing! You are most welcome – and thank you for the link! You are so welcome! Take good care!